BBC News. Fri, 19 Apr 2019 20:33:49 GMT. By Alex Wood, Forbes Staff. Forbes. Fri, 19 Apr 2019 16:02:38 +0000. Lizzie Dearden. The Independent. Fri, 19 Apr 2019 13:52:00 GMT. Sky News. Fri, 19 Apr 2019 11:16:00 +0100. Business Wire. Fri, 19 Apr 2019 09:49:00 UTC. PR Newswire. Fri, 19 Apr 2019 09:45:00 +0000. Daily Mail. Thu, 18 Apr 2019 16:18:25 GMT. BBC News. Thu, 18 Apr 2019 09:00:12 GMT. Yahoo. Wed, 17 Apr 2019 09:30:29 -0400. ZDNet. Tue, 16 Apr 2019 15:17:00 +0000. CLIA reveals figures from 2018 Cruise Review. Travel Industry Wire. Mon, 15 Apr 2019 11:18:55 EST. Zack Budryk. The Hill. Mon, 15 Apr 2019 00:53:16 +0000. 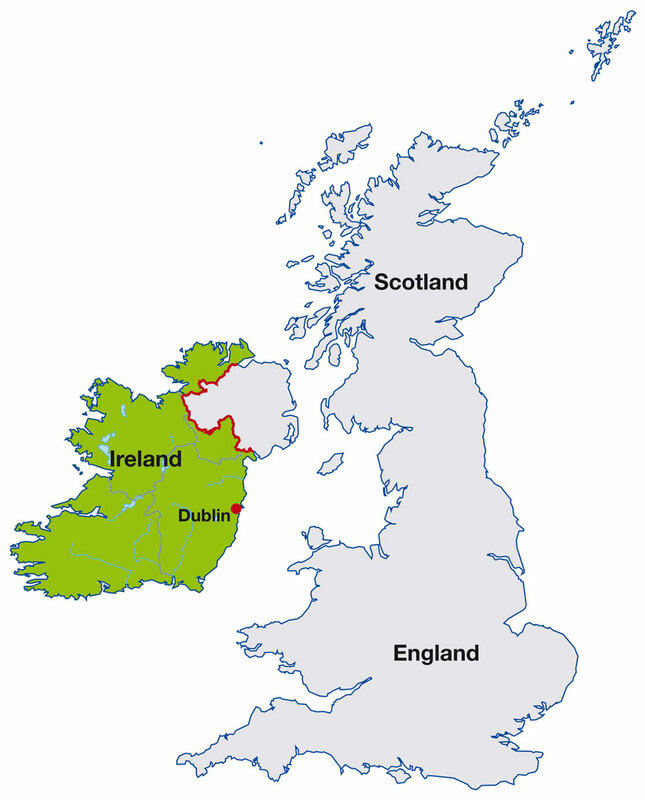 Ireland is a republic which occupies southern, central, and northwestern portions of the island of Ireland. Its capital city is Dublin, and its currency is the Euro. In 2007, Ireland's estimated population was 4,109,000, and the primary spoken languages of Ireland are Irish and English. For more news and information about Ireland, visit the official Irish government website. For detailed maps of Ireland, visit this Ireland map website. Click on the small Ireland map shown at right to display a full-size map of Ireland.